In the Mesh – Can Blockchains Safeguard Elections? Kevin Durkin for In The Mesh. 2017 may be remembered as the year blockchain technology finally broke into the public consciousness. Cryptocurrency prices went wild and suddenly every industry became interested in piloting a program to solve their woes with a blockchain. But it isn’t just private industry that’s started to think of fixing problems with blockchain technology — the machinery of government is also being viewed as fertile ground for blockchain innovation. One such area is a topic that has been red-hot since the 2016 U.S. presidential election. Specifically, in light of attempts by Russia to hack various election offices around the country, might a blockchain solution offer a more secure approach to how we vote? Can blockchain technology safeguard our most treasured democratic institution — the right to a fair election? The answer is not as straightforward as you may think. There is no universally agreed-upon definition of a blockchain, but here’s an attempt at one: a tamper-evident replicated ledger of transactions secured by participants in a decentralized network through the use of cryptography and consensus mechanisms. One of the reasons people are excited about blockchain technology is that it creates verifiably unique digital property without the need for a central intermediary to vouch for that property. In the blockchain world, that property is typically cryptocurrency like bitcoin or ether, but it need not be. The driving force behind the invention of bitcoin was the double-spend problem. The double spend problem may be stated as follows: how do you prevent someone from spending digital currency more than once without the use of a central intermediary? Part of the reason bitcoin solves for double spending is that all the transactions on the network are public. You know what else is a double-spend problem? Voting. The main problem with applying a blockchain solution to the election system in the United States is that very few people understand how elections actually work in this country. This is why, in the wake of confirmed Russian interference in the 2016 election cycle, people would say things like, “Russia hacked the election.” This conflates the two main components of running elections: registration and voting. When you go to the DMV, or other government office, you have the option of registering to vote. This registration process and the systems in place to maintain voter registration records are completely separate from the systems we use to vote in an election. According to the evidence so far, it was the voter registration systems, not the voting systems used for casting votes, that were the target of Russian interference in the 2016 election cycle. When you go to your polling place to vote, you check-in at a table where your registration status is confirmed. Afterward, you enter an entirely different realm of election administration: the world of the voting machine. Voting machines come in many flavors, and varieties, but their main purpose is to allow citizens to cast secret ballots. This poses a problem for any blockchain solution where transactions are public. If voting is a double-spend problem why not let people vote on their phone with a blockchain securing the elections? One reason is that the information associated with your phone uniquely identifies you in a way that could make the secret ballot meaningless. To be sure, a blockchain solution may one day work quite well for voter registration. In that world, we are most concerned with whether a voter is properly registered in only one location. Once you cross into the world of voting machines, however, things get far trickier. How do you ensure the secret ballot? How do you manage the transition from voter verification to anonymous vote caster? 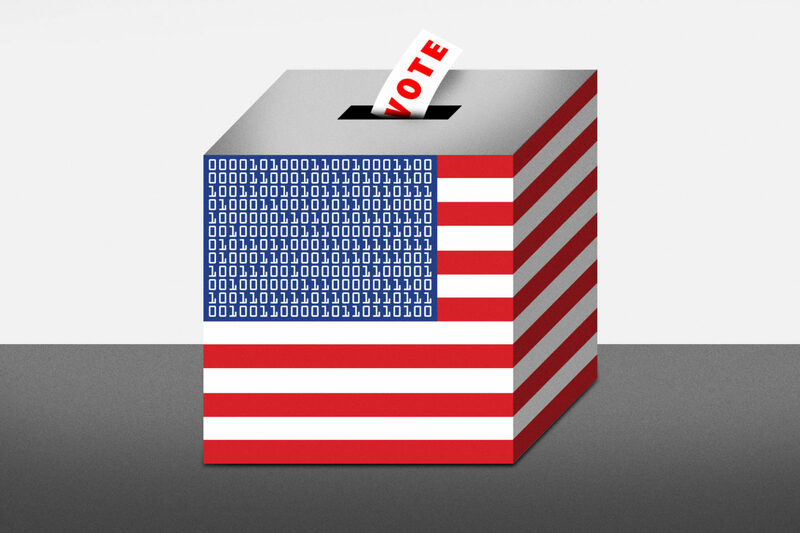 One interesting attempt to solve the problems associated with actual voting is a pilot program in West Virginia: using a permissioned blockchain built by Voatz, which leverages biometrics to allow deployed service members to vote via their smartphones. Although the pilot is encouraging, it is not clear what checks are in place to ensure the validity of the biometrics, ensure the secrecy of the cast ballots, and how exactly the pilot integrates with legacy systems. The problems concerning elections are complex and multi-domain. Technology alone will not save elections in America. Blockchain may yet be a panacea for elections, but finding ways to use a blockchain in real elections will require nuanced thinking and careful planning. Nelson M. Rosario is an attorney specializing in blockchain applications, cryptocurrencies, computer networking, mapping and navigation, mobile applications, financial platforms, and emerging technologies. Follow him on Twitter @NelsonMRosario.